Our innovative reverse circulation (RC) drilling solutions offer you a faster and more cost effective way to obtain the highest quality mineral samples. Discover a new standard of excellence with the award winning Swick RC drill. 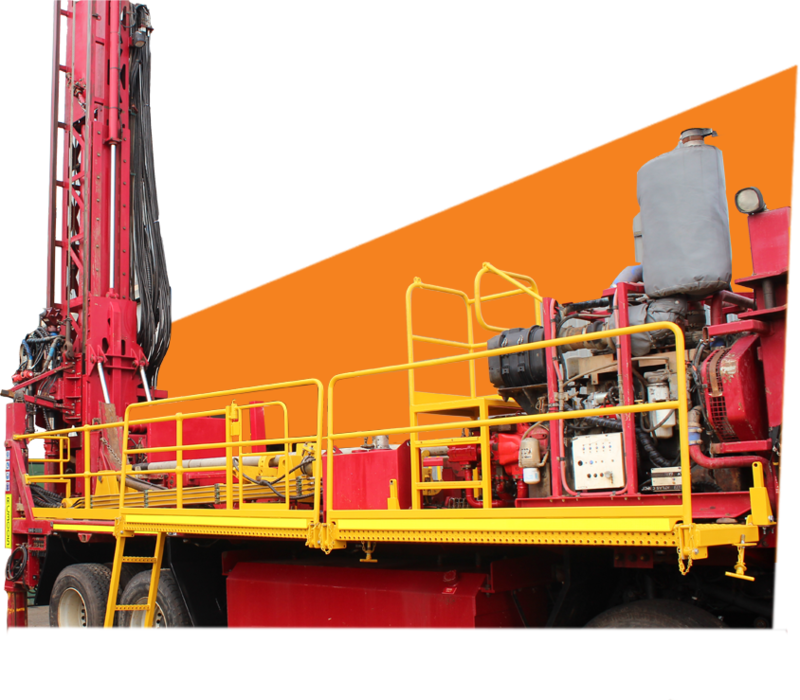 We operate a fleet of 7 high capacity surface RC drill rigs that include automated rod handling and break outs, casing advance and leading air power. Suitable for Deep Exploration, Resource Definition, Grade Control and Hydro Drilling, our rigs are engineered to reach your targets on time and every time. Our award winning, truck mounted Schramm T685 drilling rigs have been modified to remove the air compressor from the truck to increase rod handling capacity and have a specialised high speed, Swick designed intrinsically safe rod loading system. The rigs are significantly lighter than a standard Schramm allowing safer use in the field and access via roads or tracks. The truck mounted rig packages are capable of drilling RC holes in excess of 500 metres and they carry 330m of on board drill rods accessed by the Swick hands-free rod handler. Our remote-controlled air support truck packages are rated at 2500cfm at 350psi or 2300cfm at 1000psi which allows for high quality production of RC holes. The track mounted version of the machines have an air conditioned, sound attenuated cab with video monitoring around the rig, a hands-free rod handler capable of handling 6m x 4.5” drill pipe to a depth of 150m without offsider interaction with the rods. This rig package is capable of drilling to 300m without need for an axillary booster. On board air is rated at 1350cfm x 350psi, and 1150cfm x 500psi which allows for high production grade control holes. Our cutting edge rig design represents a highly productive, safe and reliable service. For us, safety always comes first. No matter the scope of the project we’re delivering, we comply with the strictest safety regulations, which ensures the safety of our people and others remains top of mind and is never compromised. For all your expert surface RC drilling needs, get in touch with our Business Development Team.